Only the Best Dermatologist would tell you that skin care is about improving different aspects of personality – confidence, communication skills, charm, fitness and intelligence – It was not understood as such earlier! Skincare is neither about beauty nor about getting treatment for a skin disease. These may either be problematic to live a normal functional life. Sometimes it can also be life threatening, though such cases are rare. In many cases concerns of people about their skin relate to appearance. Unfortunately till late, especially in conservative societies like ours, people did not pay much attention to these issues. The most common reactions were to either leave it as a matter of fate. Many would disregard the problem for being a cost intensive and unnecessary exercise. However, when untreated skin problems manifest them in serious personality related issues resulting in underachievement in life and career goals, unaware individuals and society continue to treat them with indifference. The good news is that many of these issues have either become a thing of the past or are rapidly fading away. Thanks to education and awareness through exposure to information. One such personality who has immensely contributed to this awareness is Prof. Dr. Ikram Ullah Khan. He was the first doctor who introduced laser in 1998. 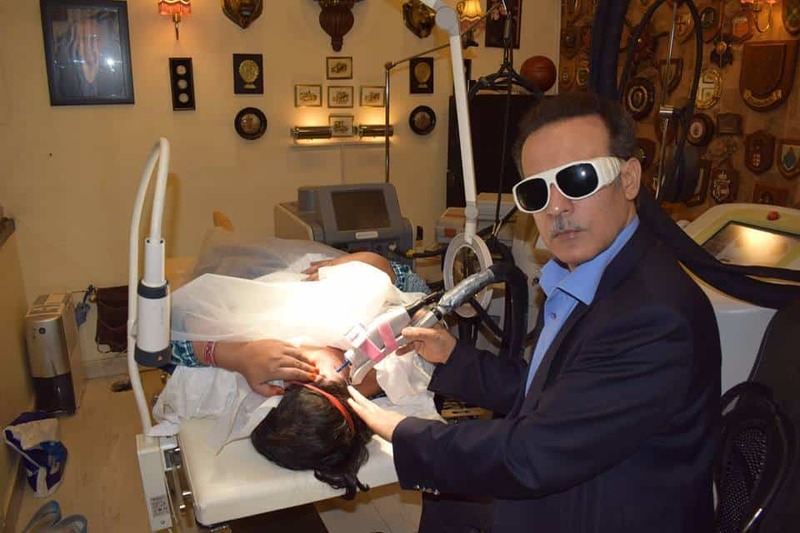 After having worked with Laser in UK since 1997, he opened the first laser clinic in Islamabad. Soon he became the best dermatologist in Islamabad. Prof. Dr. Ikram Ullah Khan explains that this was a huge decision in business terms because in those days people were virtually unaware of this technology. There was no knowledge, he had to explain to the patients in detail and clear misperceptions; how laser interacted with skin; how it was different from other forms of treatment. The initial struggle about promoting laser treatment also included lot of home work with a team of assistants and professionals. They did it through seminars in colleges and schools, gave interviews on media, wrote articles and essays in newspapers and magazines about how laser could be used to treat skin problems. This was also a personal effort for Prof. Dr. Ikram Ullah Khan. After completing his higher qualifications in the field of dermatology, he had worked in UK for 10 years. He had the British nationality and was working as consultant dermatologist in Birmingham Skin Hospital. He could have easily continued with his job but chose to surrender his British passport and came back to Pakistan to serve his country. No wonder, he continues to be the best dermatologist in Islamabad. As skin care in Pakistan takes roots primarily amongst women, young men with ambitious goals about their careers and personality are catching up with this “globally…fastest growing personal care segment”. Only the best dermatologist in Islamabad could deliver what the best skin care needs. To know for yourself, how modern skin laser helps people rejuvenate their personality through skin care, please click here. Also get a view of Latest Skin Care Machines here.